Are you looking for treatment options without medications for ADHD, ADD, Dyslexia, Autism or other Learning Disorders? At Apex Chiropractic & Wellness Center you will find many resources to help your child perform at his or her best. • You and your child are struggling with schoolwork every day. • Your child’s behavior is hard to control, or he/she is overactive. • The child’s self-esteem may be suffering. 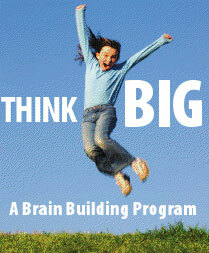 Through a program tailored to your child’s needs, which may include chiropractic care, dietary changes, nutritional supplements, and neurosensory integration work, your child may be able to experience the changes you are hoping for: less stress at school, less time frustrated with homework, better grades, increased focus, and improved behavior. Call to schedule an appointment. We will email you some initial paperwork that you can complete before your appointment. What should we expect on our first visit? Your first visit will include a detailed review of the history, a postural exam, a chiropractic exam, and a sensory evaluation. This generally takes 45 minutes but sometimes we need to break up the appointment to accommodate the child’s abilities and complete it over two appointments of about 30 minutes each. You will then be scheduled for a follow-up appointment to review the results of the exam and discuss treatments options. Check out these informative articles for more information.